increasingly common in the water and wastewater business, since the challenges the business faces often are transgressing the limits of what a lone organisation or sector is able to manage. Different types of collaborations involve different pros and cons, and require different strategies for success. Previous studies have focused on collaboration between municipalities, so called inter-municipal collaboration. 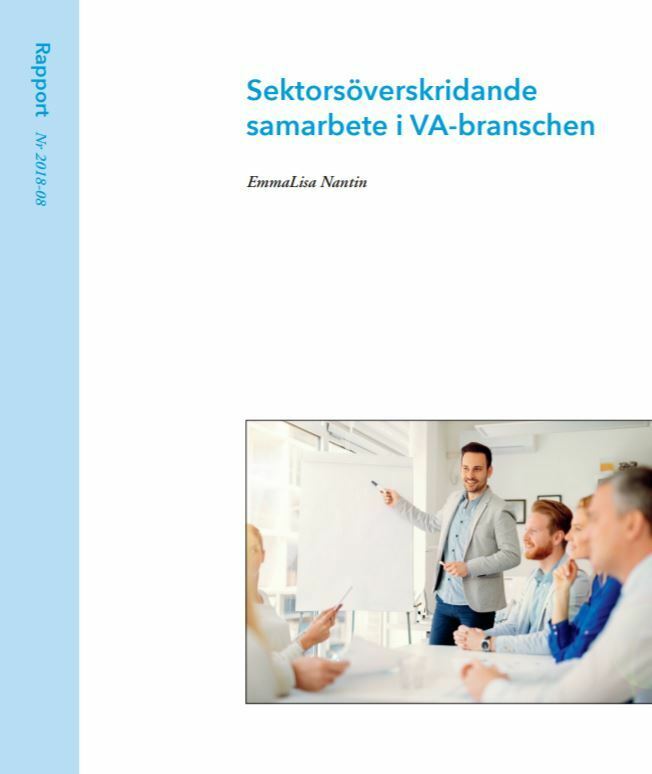 This report therefor focuses on cross-sector collaboration instead, in other words public sector and at least on other sector, which ads its own challenges to the challenges presented concerning inter-municipal collaboration. Furthermore, increased collaboration in already established collaborative initiatives is studied in order to see how the collaboration changes and develops over time. The study has been performed in four steps, first a literature overview was done to find out what can be expected from cross-sector collaboration, both concerning pros and cons, and outcomes. After this, empirical studies were performed in three steps, first three case studies of private-public collaboration, then a study of increased collaboration in an existing collaborative organisation, and lastly this is compared to the work and strategies of an older collaborative initiative.